From Design to Completion. Article in architecture magazine. Renowned architecture magazine, Arch Daily writes about the design and architecture of Panyaden’s Indoor Sports/Assembly Hall by Chiangmai Life Construction. The design was based on the lotus flower popular in Thailand where our school is, “and uses Buddhist teachings to infuse values into its academic curriculum and teach the underlying mechanisms of the human mind”. Read the article here. Photos by photographer, Alberto San Cosi can be found here on Panyaden’s blog image gallery. 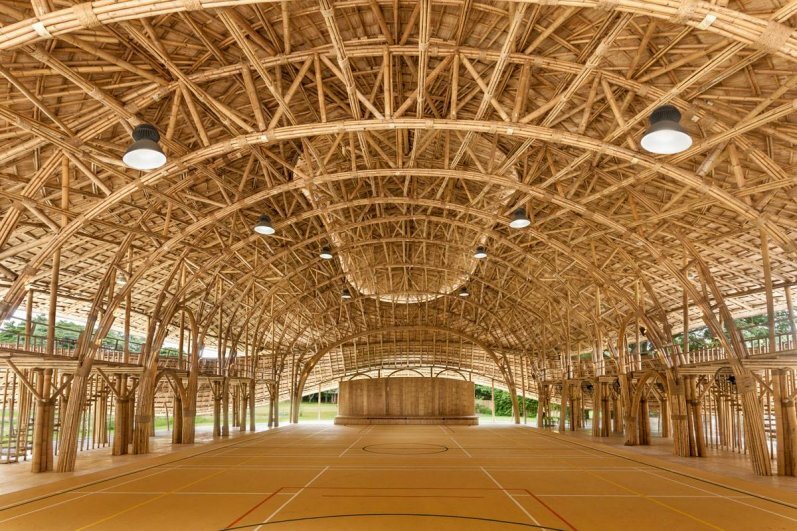 This entry was posted in Featured Posts, Green School and tagged architecture, bamboo sports hall, design, Panyaden, Panyaden International School.